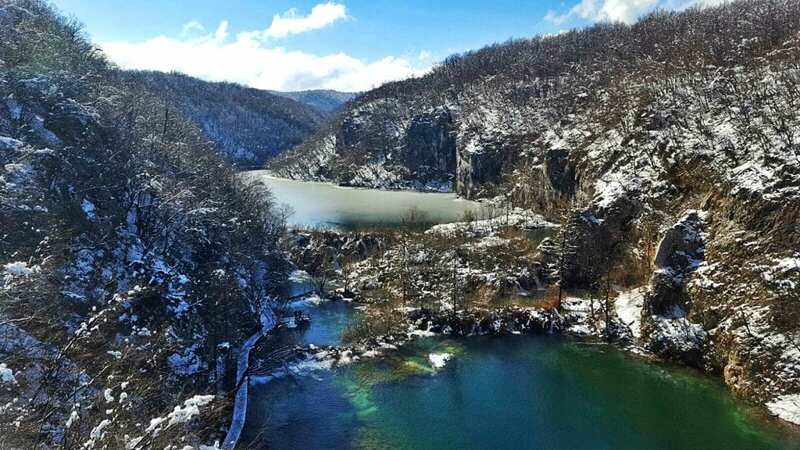 Low temperatures and a lot of snow are typical for Plitvice Lakes every winter. It can get quite rough, but nobody complains because it is a part of life there. The system works because we are prepared, people go to work every day, kids go to school through all the snow, traffic is slower but functional, there are visitors in the park which turns into a frozen fairytale. Let me pull out some statistics. In 1929 there was 285 cm of snow in Gospić, which is the highest level ever recorded in the area near Plitvice lakes. 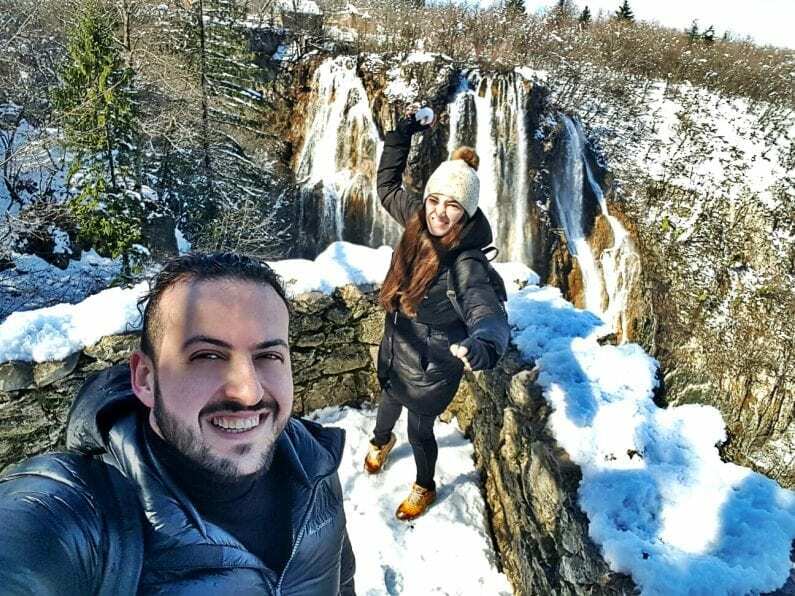 The lowest temperature ever recorded in Plitvice was in 2003 when it dropped to -22.6°C. In nearby towns, it was even colder than -30. Legends say that our great-great-grandparents saw snow even in August. Nowadays, winters are not as extreme, but we still have quite a lot of snow and pretty low temperatures. 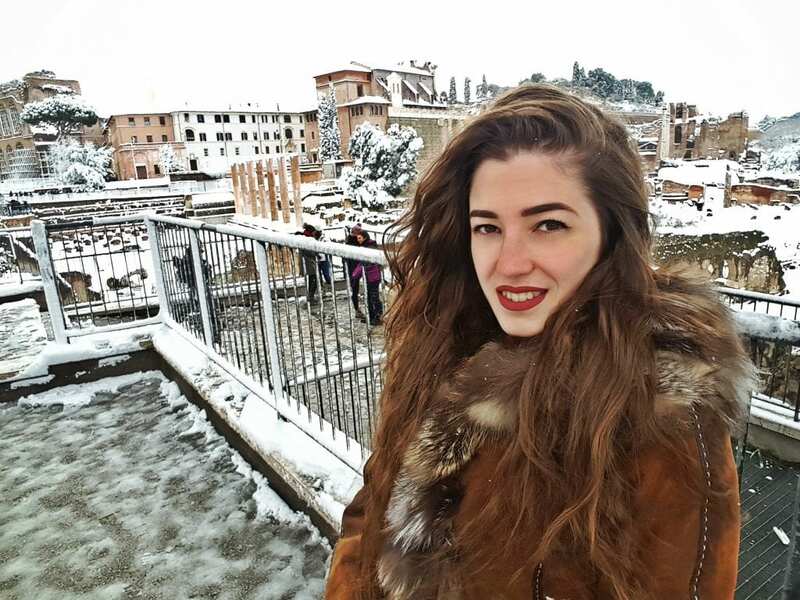 That is why I got surprised when I witnessed snow in Rome. There were many things I was thinking about when I moved there, but snow or the weather in general were the last things to cross my mind. 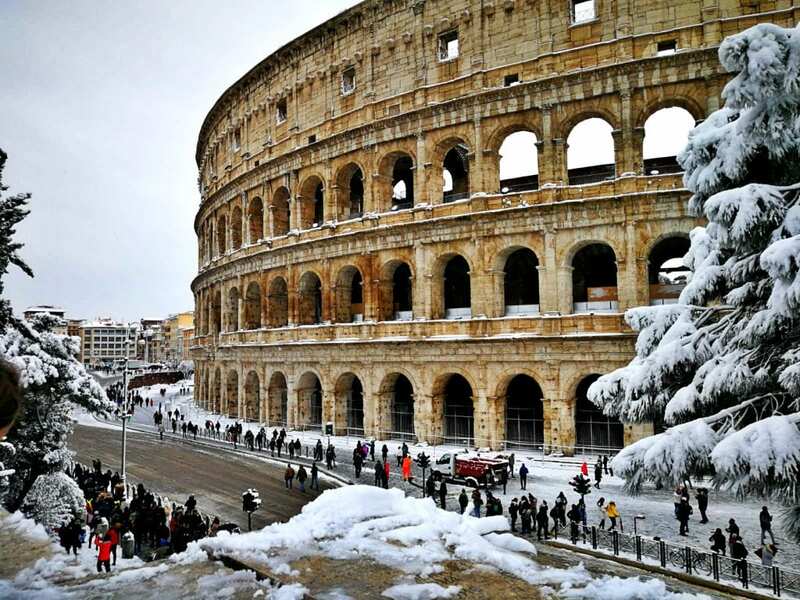 As Rome is quite a warm, Mediterranean city, it snowed in 2018, 2012, 1986, 1971, 1964, 1956. When I said snowed, I mean 10 cm of snow fell on the ground over a period of a few days. For Italians, it was much more meaningful than that. While researching places around the world where it rarely snowed, Rome was listed among Hawaii, Las Vegas, Miami, Sidney, Buenos Aires, Lisbon, Baghdad, the Sahara… In August, the temperature goes up over 40 c. Coming from the area where I had never even felt temperatures that high, I barely survived my first Roman summer. „The beast from the east“ was the name of the storm that came from the north and chained the magnificent city of Rome in 2018. Schools were closed, nobody went to work, public transportation was a mess, you couldn’t buy a shovel anywhere, the military had to help clean the snow off the streets. A lot of car tires got ruined because the citizens feared snow and, due to a lack of experience, put tirechains before it was necessary. It was one of those rare moments when the Colosseum turned invisible as an attraction as everyone standing next to it was far too busy in a snow fight. Everybody got in: locals, tourists, priests, children, the elderly… I have never seen a 50-year-old so happy sliding down a 10 m long „hill“ on a black garbage bag. Actually, I have never seen a 50 y/o sliding down a hill. Rome is just magical that way, I guess. At the lakes, people despise the snow. Going out in the middle of the night to clean the snow off of the roof of the house or getting up quite early in the morning to dig the car out of the snow is exhausting, especially when it’s also freezing. The neverending fight with the public snow-cleaning service that pushes piles of snow to your driveway which you had just cleaned for 2 hours in the cold is both sad and hilarious. We can also mention cleaning a small place for your car and then somebody else taking the parking spot. The cold wind paralyzes your face while you’re waiting for the bus to get to work. Every single day you argue with family members over who goes out to get firewood. And there are also all the other winter issues that I`m actually happy to remember. 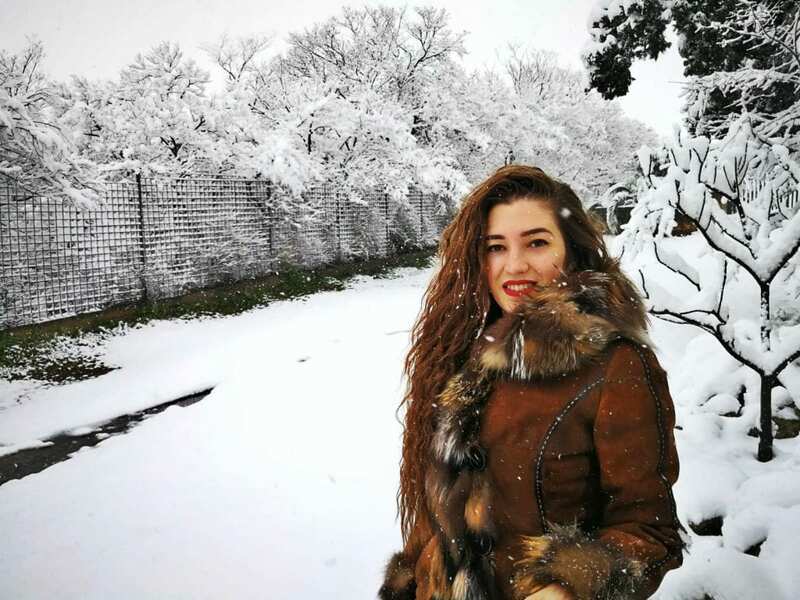 Not to leave everything only on complaints, the snow is also part of the charm, scenery and trademark that makes the lakes beautiful and recognizable. Therefore, people complain when there isn’t enough snow. I`m one of those people. The lack of snow this December in Rome made my Christmas spirit disappear. I am used to waking up to the sound of fire in a fireplace every Chrismas morning, looking out of the window to see how much snow fell overnight while thinking about how many layers of clothes I will need to put on before I go out to say „Merry Christmas“ to the neighbours. In Rome, I got woken up by sunlight thinking about which t-shirt to put on. Almost. All of my Christmas decorations around the house were snowflakes I made out of white paper to remind me of the winter I miss. In the end, snow is just a single shade among all the colors on the large painting that resembles my love for winter. Which colors are on yours?